Dictionary, book have different definitions of gwitae. July. 13, 2013 00:20. . There is mounting interest over the meaning and origin of an uncommon word gwitae, after Hong Ihk-pyo, the Democratic Partys floor spokesman, used the word, referring to President Park Geun-hye as an offspring of a man who should not have been born. Literally, gwitae is interpreted as a baby born to a ghost. The Korean Standard Dictionary published by the National Institute of the Korean Language defines the word as a state of fear and worries or a sinister motive, unlike the literal meaning. When Hong used the word, he cited a book titled Nobusuke Kishi and Park Chung-hee. The book provides detailed explanations about the meaning of the word. Kishi, Japanese former prime minister who was once imprisoned as a class-A war criminal, is the maternal grandfather of current Japanese Prime Minister Shinzo Abe. Park Chung-hee is South Koreas former dictator and the father of the incumbent president. 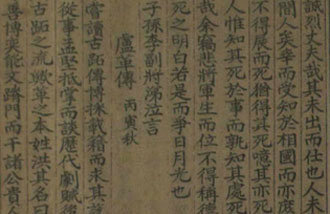 Kang Sang-jung, a professor at Seigakuin University in Japan, wrote in the book that gwitae was coined by Japanese writer Ryotaro Shiba, who defined the period between the Kwangtung Armys independent acts and surrender as an era of discontinuity. Though gwitae in medical science refers to a type of hydatidiform mole, a growing mass of tissue inside the uterus that will not develop into a baby, the word has strongly negative nuances of something sinister that should not be born, according to Kang. After the use of the word caused heated controversies, Hong explained that he meant the vestiges of a system symbolized by a person. However, his interpretation is different from the authors explanations.